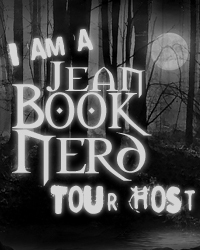 Today I have a book tour post for ya! But first watch the trailer! Alpine elves and of Fel’annár’s own father – whoever he was. over the racial divide that is pulling them apart. They say that civil war is coming, but one warrior can avoid it – if he can embrace his past, control his powers and accept the role he is destined to play. From warrior to master and beyond, Fel’annár is The Silvan who can restore peace in the Great Forest, or cast it into eternal chaos. before they had ventured to Valley and had become immortal. He’d been lured by stories of beautiful, shining faces that stood behind the Veil. But what did it matter? What good were his memories now that he was immortal? his punishment, cursed to madness as he watched himself fall apart, even his mind. all this time? Had he not wanted to be immortal? what? To protect the purity of their haven? To keep it from the taint of mortality? under the shadow and surety of death? What twisted deity had made it so? pity, pity for a rotting fool who had dared challenge the cruelty of nature. he could live again, so that all the moments of his life would not be forgotten, not that he really cared anymore. About the Author: I am one of the biggest elf geeks I have ever met. First inspired by the world of Tolkien, I began writing short stories, until the idea of the Silvan popped into my head. That was no short story but a sprawling 900 pages of epic fantasy. third book should be available in 2019. Thanks for hosting – and I love pizza too!